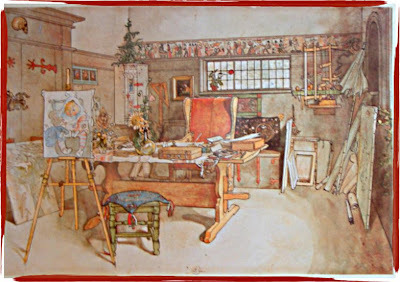 diane's blog: Carl Larsson prints. Beautiful sunny day here up North. Went for a long drive into the country with my friend, Susan. 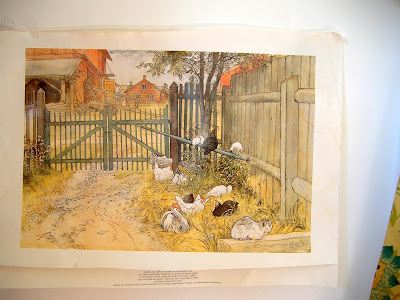 We stumbled upon some wonderful prints by Carl Larsson. 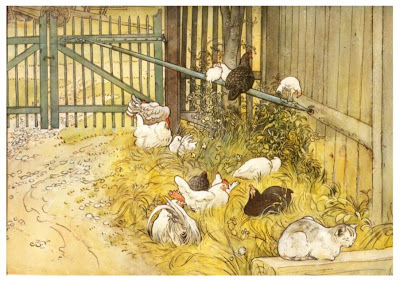 One is of a barnyard, it is called "The Gate" and another is of a studio. I fell in love and bought them. Each one cost me $1. Yippie! I wanted to share them with you. I am going to go fish around on line and find out more about this artist. My friend knew exactly who it was before I even read the description! Maybe you all know who he is? I thought these watercolor illustrations were so beautiful, soft and detailed. 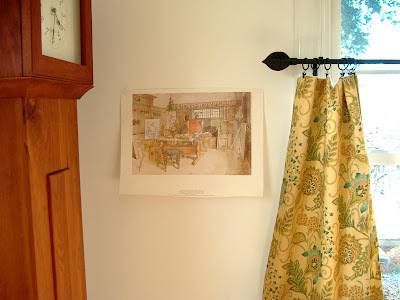 There is even a station of the cross on the top of the studio wall print! My camera didn't take a very clear picture of these. Rats!